The 2017 Mazda CX-3 is a versatile crossover vehicle with a host of excellent amenities. We love the Mazda CX-3 technology, and we encourage you to see this model today at Biggers Mazda. Technology is integrated into a variety of features from safety to entertainment. Get ready to explore this model today at Biggers Mazda. 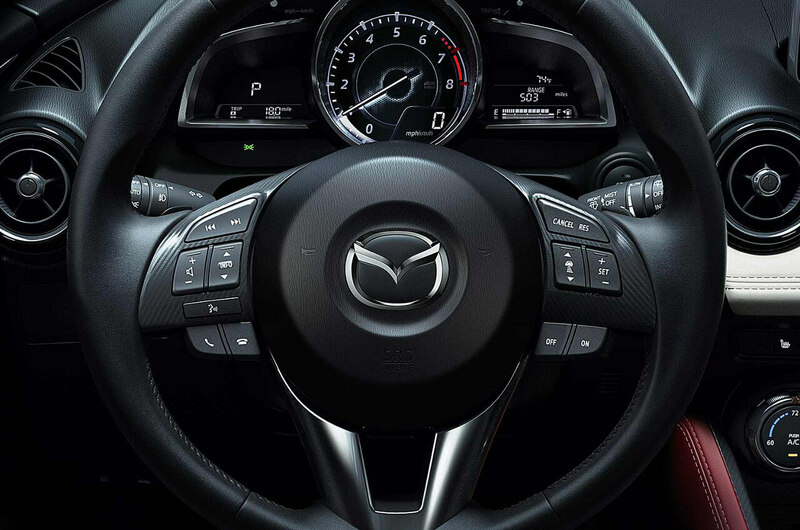 The Mazda CX-3 aims to deliver convenience through its intuitive technology. Drivers will be happy to hear that these high-tech features are standard. Start with a keyless remote and illuminated entry system. These systems allow you to do more without searching for keys. Just use the push-button start system for the engine, and you can even unlock and lock the doors without taking out a key. In the cabin, there is a standard 12-volt power outlet to charge your devices.The MAZDA CONNECT™ infotainment system lets you use voice commands. Not only is this convenient, but safer when you drive because there is no need to look at the screen. The infotainment system also may be connected to popular apps like Aha, Pandora, and Stitcher Internet radio. The SMS text message function will read messages to you, so you can focus on driving. An optional blind spot monitoring system points out objects or cars in your blind spots. It will give two warnings: a visual one and an audible one. 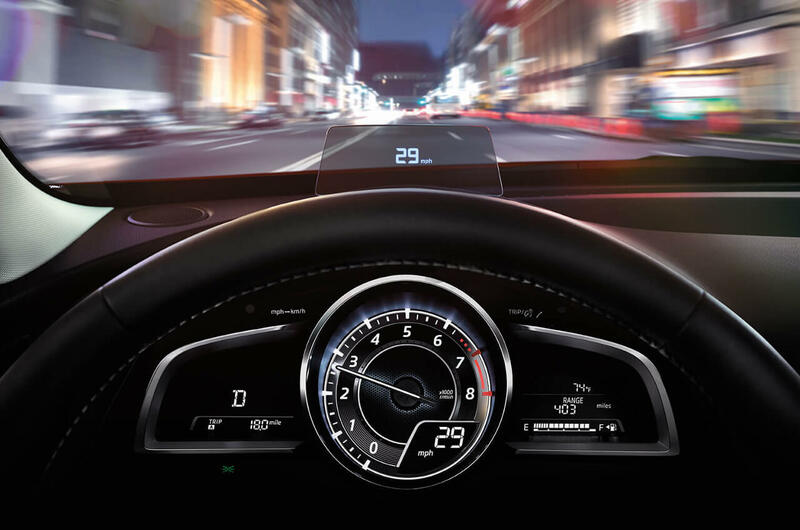 The available Mazda radar cruise control maintains a safe following distance between your vehicle and the one ahead of you, so you can count on stable cruising. It will even urge you to take control of the wheel if unpredictable drivers are detected around your vehicle. An available rear cross-traffic alert monitors for activity behind the vehicle when you are slowing backing out of a space. The available lane departure warning system kicks into gear when you are going over 44 mph. It will give an audio and a visual warning when you get out of your lane. The system will also read the road markings to get a better sense of your environment. Available Smart City Brake Support is ideal for those who are city commuters. This system works when you are going anywhere from 2 mph and 18 mph. It can adjust the brakes when an object too close is detected, and it can automatically apply the brakes when it is necessary. 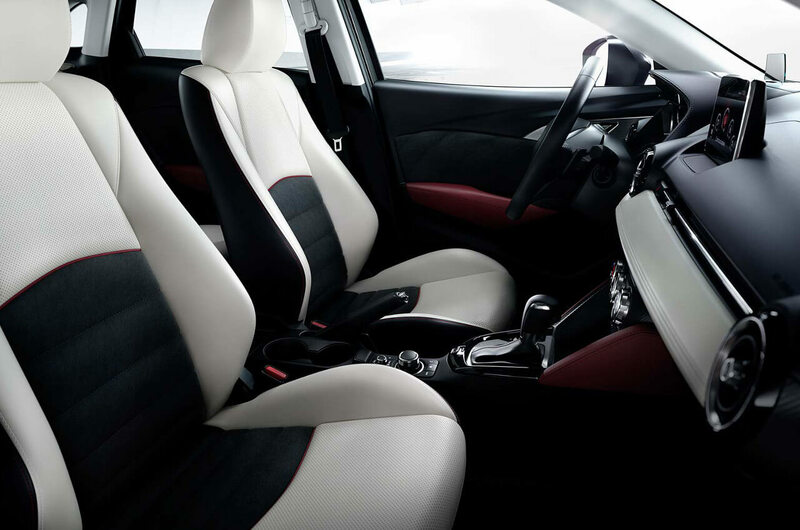 The Mazda CX-3 technology features you need to try are at Biggers Mazda. Drop in to our dealership today for more information. Contact us online if you have any questions, or to book a convenient time for your test drive. See how the Mazda CX-3 can make your drive better and safer than ever before!